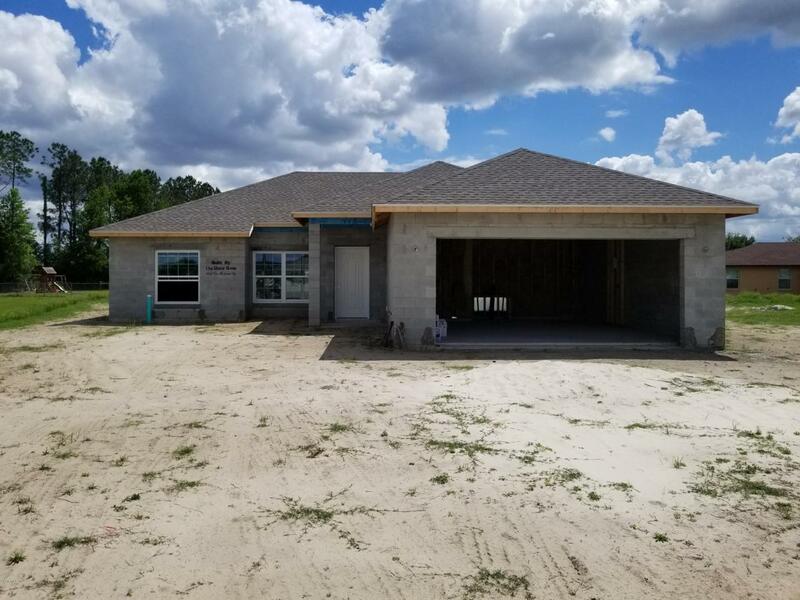 This home is still under construction to be completed around mid-June. Builder pays all allowable closing costs!! In USDA approved area. Open island kitchen w/granite & Cappuccino colored cabinetry. Full stainless appliance pkg included. High-end (waterproof) LVT everywhere but bedrooms. Main areas have vaulted ceiling & Master Bedroom features a trey ceiling. Tile surround in bathtub/showers. No plastic inserts! 6'' baseboards. Garage door opener included. ETC....HUGE backyard w/room for pool, playset or garden. Quiet neighborhood w/no thru-streets. Close to The Villages, Ocala and Lake Weir. You owe it to yourself to see this one! Listing provided courtesy of Martha Garren of Oak Ridge Properties Of Florida.